Reliance Chairman Mukesh Ambani congratulated on Jio Company first anniversary 5th September by Jio telecom operator employees, which has 130 million consumers on its network. 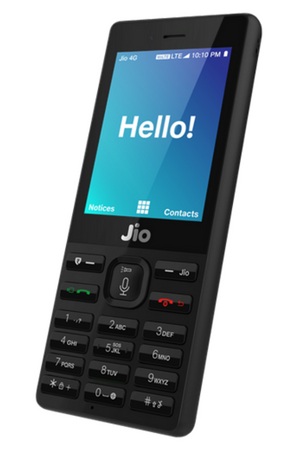 Now At the time, the JioPhone is available for booking from August 24th on Jio Official website or My Jio application and the Company received 6 million Jio Phone bookings in a day. The company also registered an additional one crore interests for the same from across the country with equal participation from metros, small towns and rural areas. But at the time JioPhone is not available on market but Jio company deliveries his 4G feature phone will start on Navratri September 21st, according to a report in NDTV.